The Daewoo Matiz first appeared in the UK in April 1998 and was an immediate hit with the press and public alike, achieving strong sales and winning awards from the likes of Auto Express magazine and the Top Gear television show. The original styling by ItalDesign of Turin was giving a major facelift in late 2000 to provide a sleeker appearance. At the same time the car underwent a number of internal changes to improve its braking and crash-resistance system. 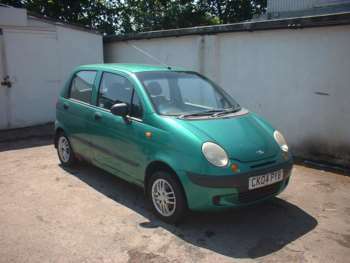 The used Daewoo Matiz was designed first and foremost to be a cheap city run-around. With a tiny three-cylinder, 800cc engine under the bonnet, the Matiz is certainly thrifty on fuel but with just 50bhp available, it's a car that struggles to match the performance of competitors, especially on longer journeys when fully loaded with passengers. However, the used Daewoo Matiz is far cheaper than any other vehicle in this class and if all you're looking for is a low-cost car for the school run and occasional supermarket shopping trip, the Matiz is ideal. Production of the second hand Daewoo Matiz ended in 2005 so there is a limit to how new a model you will be able to find. The original R-plate models from 1998 can be purchased for around £1,000 for the SE and £1,300 for the SE+. Prices are higher for cars equipped with ABS and air conditioning. A 1.0 litre engine is also available. A 2003 52-registered SE would cost around £2,600. With insurance falling into Group 2, the price of a policy is unlikely to break the bank. No major faults were reported during the lifetime of the Daewoo Matiz. High mileage examples should be avoided as smaller engines tend to be less robust in the long term. As such cars are mostly used for school and shopping runs, there may be cosmetic damage - rips, stains and tears caused by careless children or knocks and scraps caused by careless drivers in supermarket car parks. Although Daewoo no longer exists, replacement parts remain widely available and are highly affordable. Small items such as spark plugs cost just £3 for a full set while fuel and air filters cost £11 and £7 respectively. Even a more significant item, such as a replacement cam belt, costs just £30. With great all-round visibility, a tight turning circles and enough nip to negotiate busy city streets, the cheap used Daewoo Matiz is undoubtedly a fun city car. However, even the larger 1.0 litre version of the Matiz is not really suitable for extended motorway journeys and if you plan to do a lot of long-distance driving, you may be better off looking elsewhere. The low purchase cost, low insurance and low running costs, combined with solid reliability, make the Matiz an ideal second car, especially if your other vehicle is an unwieldy people carrier or 4x4 behemoth. Easy to park and fun to drive - within its limits - the Matiz is a great bargain buy. 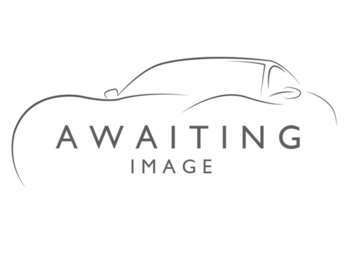 Got a specific Daewoo Matiz model in mind?